As an NLP Practitioner you become mindful of your state, quickly realizing that "State is everything". In NLP we speak of Internal representations. This meaning how you "re present" information inside your own head. How your unconscious mind responds automatically using sensory experience. Anger may cause you to speak faster, turn red or shout and more.. So Internal representations conscious or unconscious can cause a physiological response. And changing a physiological response can change state. For instance, I can shift your attention to just pointing to a thing that symbolizes something else. Or I can use words. Both are a pattern interrupt. The tell is, what has worked, to create the state shift. By listening to your linguistics we can usually identify your internal models and we can also change them using linguistics in various patterns to communicate with you. Programming is a Pattern or a strategy, it can be one you are already using or you can use it to become more effective. 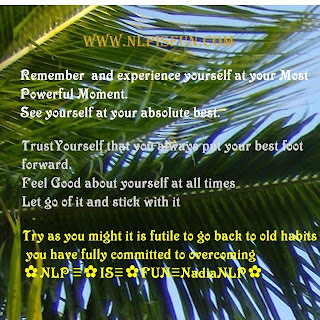 NLP is actually this simple. You can make your own patterns, they can be established NLP Patterns, they can be adaptations of another persons pattern. How you use breath can be a pattern, for instance if it changes your state. Which it usually does. 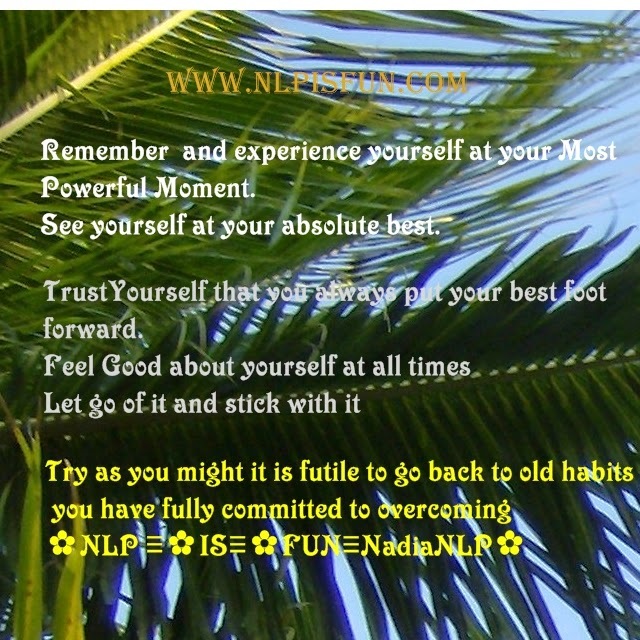 In NLP we know all external consciousness affects an internal state change. As Neuro linguistic programmers we are looking for the patterns that work and seeking the patterns that seem to be causing a problem. This is the power of Neuro linguistic programming. As NLP Practitioners we know what is on the inside will show up on the outside. Also what appears to be on the outside, usually does influence your state. This is a presupposition not limited to NLP, many schools of thought have this as a reality. I invite you to expand your models and seek your patterns. The ones that work and the ones that do not work. The more effective your patterns are the better they will work for you.